Although the game sold "thousands" of copies according to Best, the games' existence was only rediscovered thanks to a number of the aforementioned media articles, and the game itself remains missing. 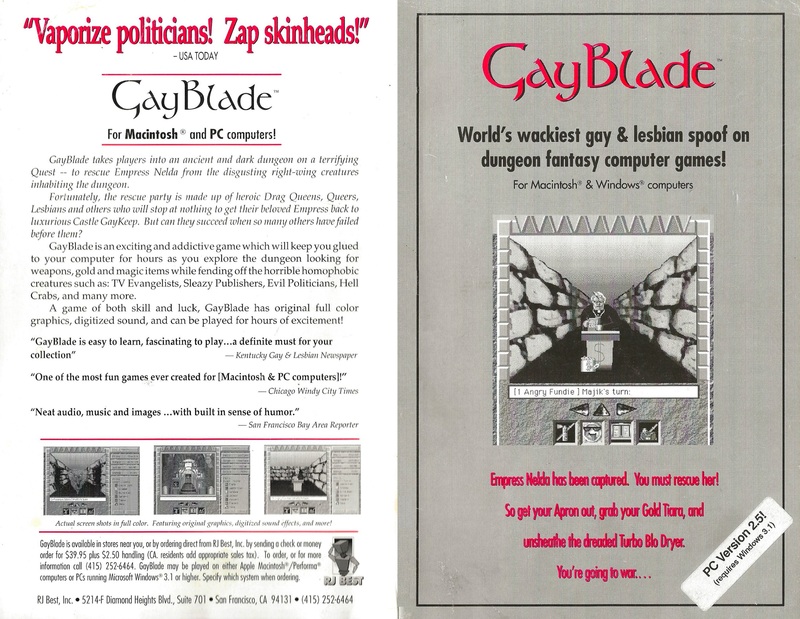 However, he was able to provide a copy of the game's manual along with a press kit to the LGBTQ Games Archive, which are available here and here respectively. A few other screenshots survive that were featured in articles about the game. Ironically, Caper in the Castro, despite being lesser known than GayBlade, survived in the form of the original diskettes of the game's creator and is now playable in an emulated form on the Internet Archive.